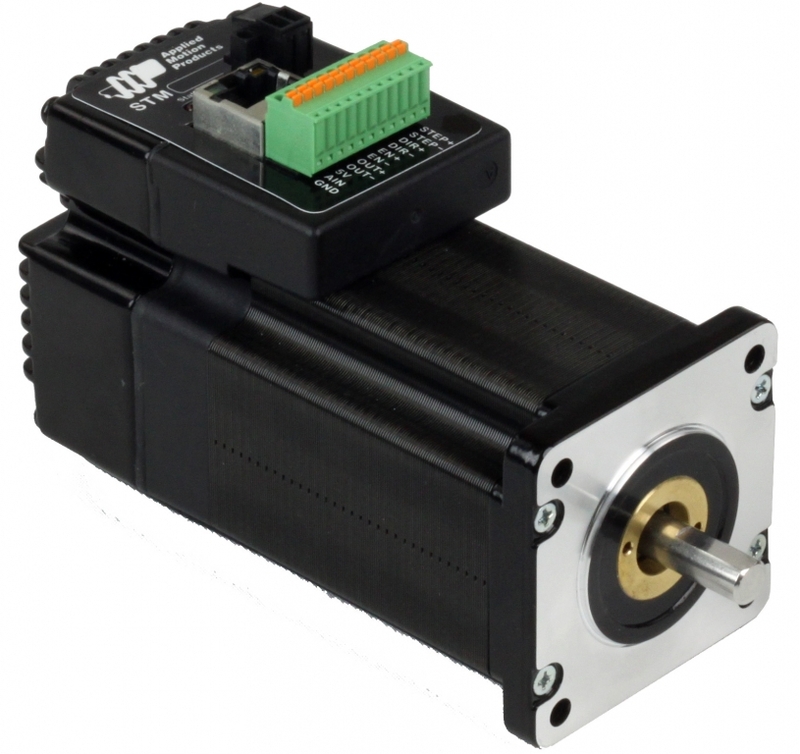 The STM24IP-3EN integrated stepper is a drive+motor unit, fusing a NEMA 24 step motor and a sophisticated 6.0 A/phase (peak-of-sine) stepper drive into a single device. Power to the drive, located at the rear of the motor, must be supplied by an external DC supply. See Related and Recommended Products below for compatible 24 and 48 volt DC power supplies. 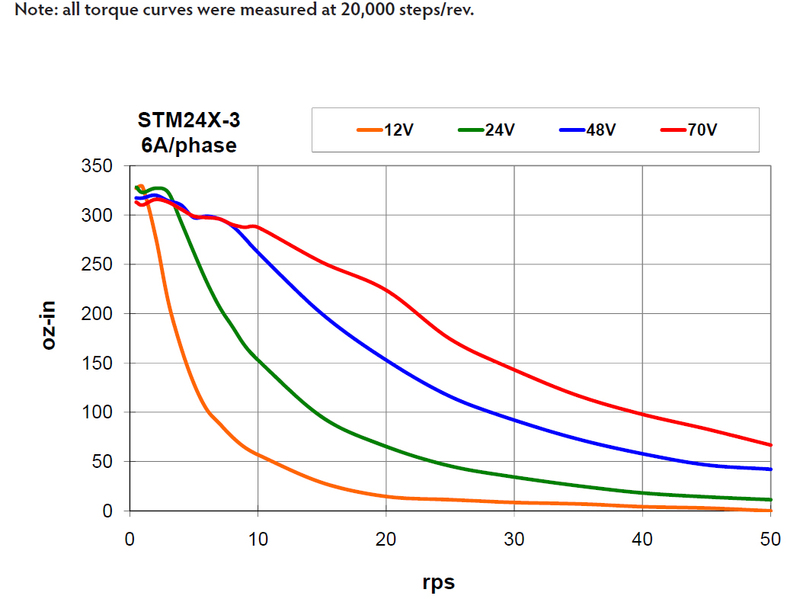 The STM24IP-3EN integrated stepper incorporates EtherNet/IP network communications, the widely used industrial protocol for manufacturing automation applications. With EtherNet/IP users can control, configure and query the drive using an open, standards-based, industrial Ethernet connection at speeds up to 100 MBits/sec. All STM24IP units run the same control modes as STM24Q units, with the addition that all drive+motor features can be accessed over EtherNet/IP, including more than 100 commands and 130 registers for controlling motion, I/O, configuration, polling, math, register manipulation, and Q programming. Setup and configuration of the STM24IP is done using Applied Motion’s ST Configurator™ software, while Q programs are created using the Q Programmer™ software.